* SOLD * Westbrook is the Richmond Hill neighbourhood bordered by Yonge St, Bathurst St, Gamble Rd and Elgin Mills Rd W. Just north of Mill Pond, the community has been steadily growing, attracting young families. 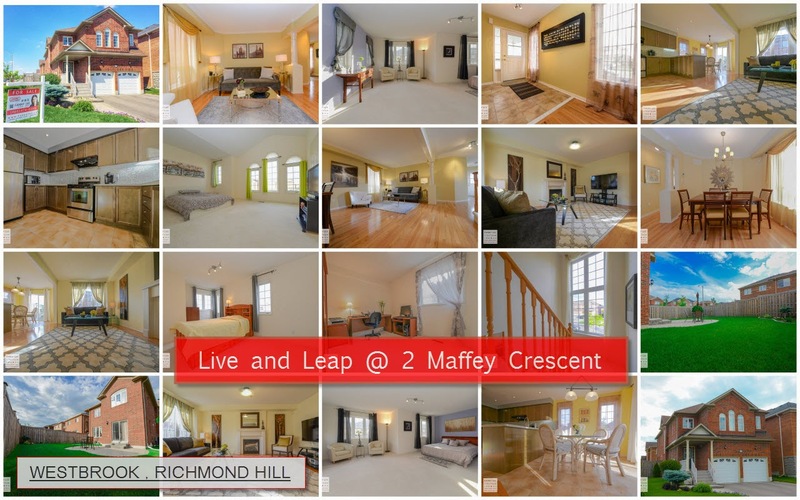 Our featured 2 Maffey Crescent is a beautiful corner lot 4-bedroom detached home with many windows and a wrap around yard. Since words will not do justice to this attractive home, we will let the pictures convince you. Details are listed on MLS #. Interested? Book for a showing now. Or connected with us on social media to find out our Open House schedule.